UPDATE: Apple to issue update to correct "totally wrong" signal bars | What Hi-Fi? 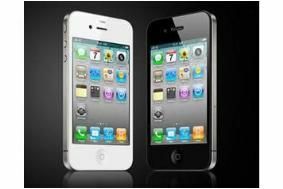 Apple is circulating an open letter to iPhone 4 owners that states the reported reception problems are in fact an error in how the phone displays the strength of reception. The company still claims the iPhone 4 has the best phone reception of any its iPhones and blames the "formula we use to calculate how many bars of signal strength", which is "totally wrong". The letter continues; "Our formula, in many instances, mistakenly displays 2 more bars than it should for a given signal strength. For example, we sometimes display 4 bars when we should be displaying as few as 2 bars. Users observing a drop of several bars when they grip their iPhone in a certain way are most likely in an area with very weak signal strength, but they don't know it because we are erroneously displaying 4 or 5 bars. Their big drop in bars is because their high bars were never real in the first place." Apple will issue a free software update within a few weeks to fix the problem and also make the bars taller and therefore clearer. Yesterday we reported on early problems with Apple's much-hyped iPhone 4 (see below), and today the company has released official advise on how to prevent signal loss when using the phone. Steve Jobs apparently responded to a query about the problem from one owner in his characteristically brusque manner by saying: "Just avoid holding it in that way." The official advice is to "avoid gripping the phone in the lower left corner in a way that covers both sides of the black strip in the metal band". In a statement the company said: "Gripping any mobile phone will result in some attenuation of its antenna performance, with certain places being worse than others depending on the placement of the antennas." Alternatively, says Apple, customers could buy a case to shield the antenna. So that's sorted then. Sounds to us like Apple should have employed an ergonomist when designing the new phone. The queues started forming early this morning as Apple fans raced to be the first to get their hands on the new iPhone 4, on sale today. But reports are already starting to emerge that the new "must-have" smartphone may have a couple of early teething problems. According to our sister site Stuff.tv, some customers are reporting problems with patches of yellow tint on the much-hyped Retina Display. Others have reported the phone's signal strength dropping when the handset is held, perhaps as a result of the new antennae built into the sides. Apple has apparently acknowledged the latter issue as something to do with "the way the bars are presented, and not the actual ability to make a call", and says a fix is on the way. If you've just bought an iPhone 4 and experienced any problems, let us know in the Comments box below.